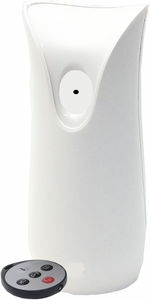 Our Bush Baby Stealth Hi-Def Air Freshener Spy Camera/DVR is an excellent product for super-covert recording. 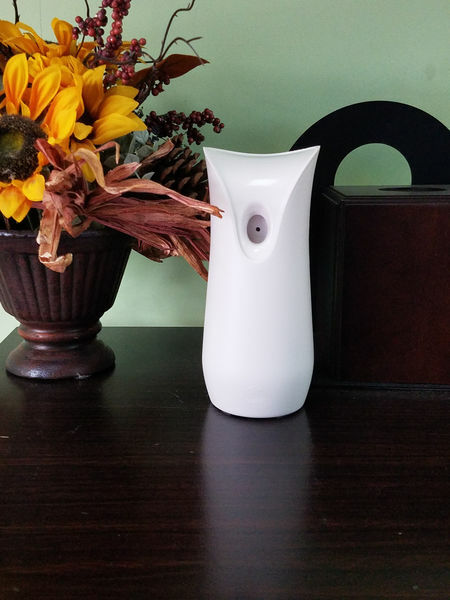 Nothing indicates the device is anything other than an air freshener. 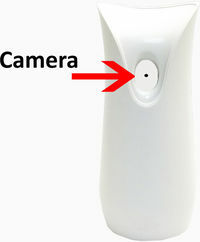 Even if the camera is handled by someone curious, the electronics are sealed inside. Perfect for keeping a baby sitter in check or to watch your belongings while you are away. It has full color 1080p quality video over a wide viewing angle of 75°. Like all BushBaby products this product features a remote control for choosing one of three recording modes: still shots, motion detection recording, and continuous recording. It is powered by an internal Li-ion rechargeable battery.